Quite a busy September, with a small extra table alongside our normal 6ft product stand at Telford. This allowed us to put a few lineside accessories out, like loading gauge, kissing gate & estate fencing etch frets, as well as a few book copies and a diorama with Phil Gomm's excellent G.W.R. 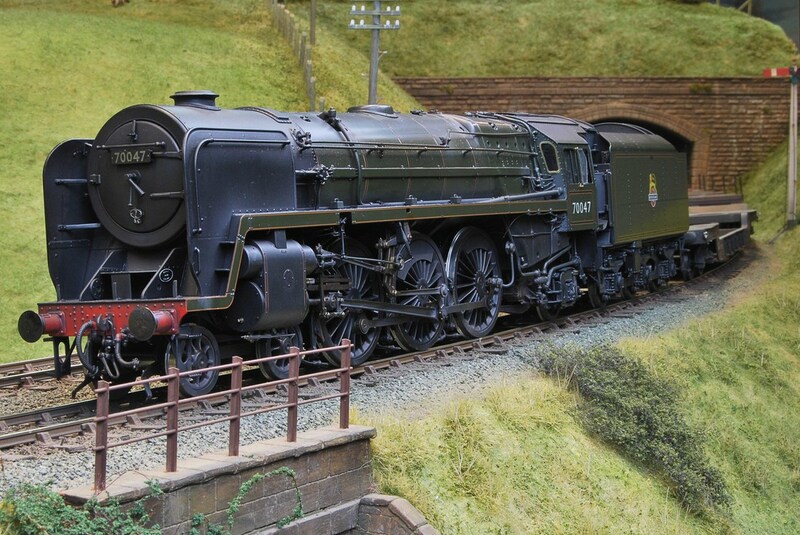 No 5007 'Rougemont Castle' on display. A good many vehicle etches have also gone out as well this month, and I am now well on the way with cataloging the range of castings. Cast coupling hooks are listed separately as a sprue of 10 (to left), but I think it might be an idea to do the same with the instanter links of G.W.R. (to centre) & B.R. (to right). This allows an easy upgrade of existing plain 3-links by simply replacing the centre link with the appropriate type. I can keep the cost at the standard £10.25 plus P&P. Let me know if you like the idea, as it's much easier than changing every coupling. I have recently found a traditional photographic studio, and they are going to try out the contact negatives with the locomotive dial sets. They use no digital technology at all, which is not an easy thing to find nowadays, and they are going to take a few goes to get the exposures and paper types right. All the previous digital print attempts were far too pixelated to use. Both 4 & 7 mm etches are in stock for this vehicle, but the 7mm version has the option of a separate underframe and a comprehensive list of castings and equipment to correctly detail the model. This has the standard width passenger scissors type corridor connections, and all the panelled interior partitions including the brake end doors are included in both scales. This 7mm scale 15thou etch comes with sides, ends, partial underframes & bufferbeams, droplights, vents, steps, lamp irons, and bolection mouldings. Square shank, oval head buffers along with couplings and other detail parts are available if required. The compartment interior mirrors are now remanufactured from 12 thou medical stainless steel, and there are a few more variations and sizes than the display pictured opposite. There are some smaller ovals and sharp cornered large 1930s mirrors as well. 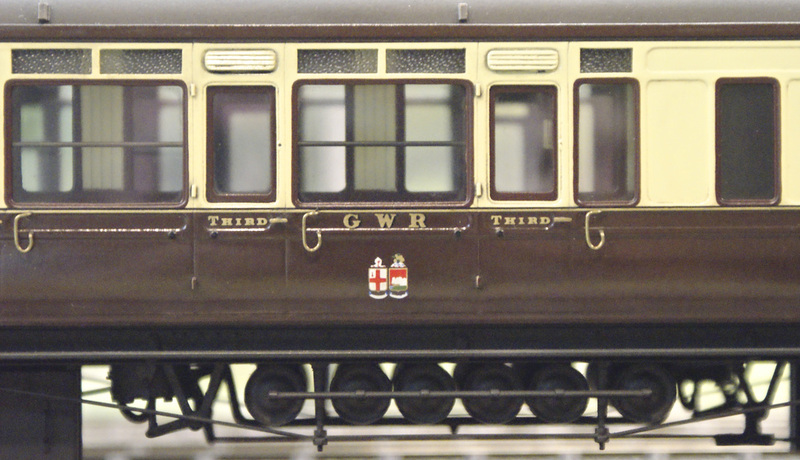 Along with some of these previously listed etches, there are a number of Midland 6 wheeled carriages that could probably be done with the ex-Slaters underframes. I'll try and get round to finding some reference example pics and etch scans for these. 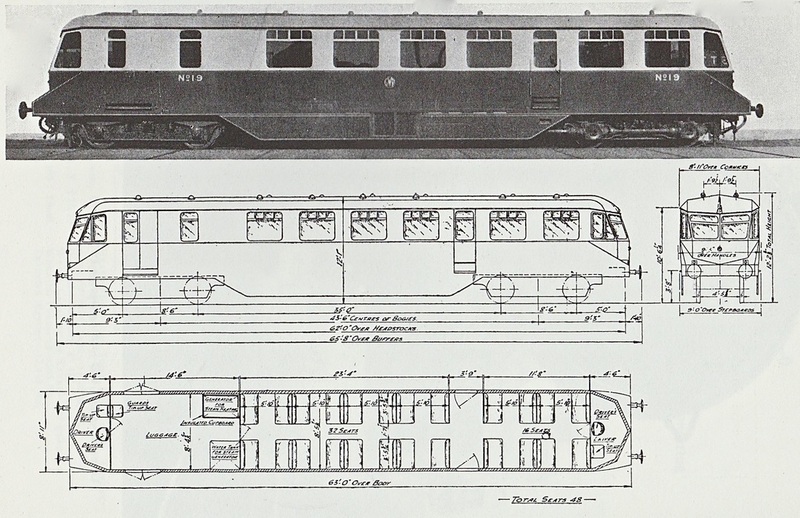 The picture alongside was taken at Swindon's carriage sidings by Roye England, and the 7mm etch below contains the flat components for the body. 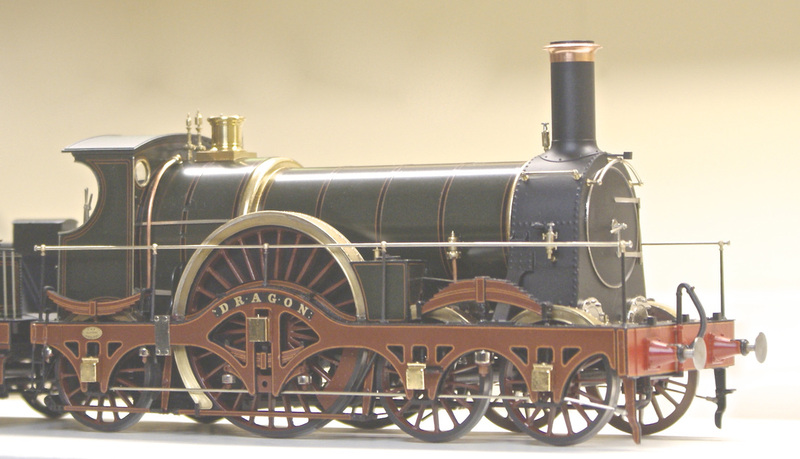 A number of other components are available to progress this one, including a separate 57 foot T/L underframe, Square shank round buffers, couplings, jump cables, steam & brake pipes, Commode, door & grab handles, brake cranks, along with the usual battery box, transfers and interior detailing parts. It just needs bogies, a roof, and some dedication! 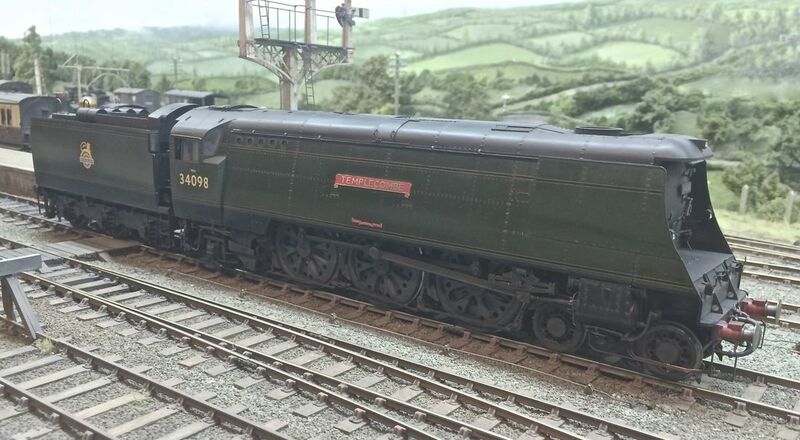 Sorry for huge time delay in posting here, Some more information has been added to the temporary catalogue page, and two outings for later on this year can also be mentioned as confirmed attendances at the Reading O gauge trade show at Rivermead, and the Guildex weekend event at Telford's International centre. Some more information has been added to the temporary catalogue page, and Richard Chetland is currently doing a set of 3D roof profiles for G.W.R. carriages made with snap out formers. We are still working on this, so we need to get a few samples done before doing a display. Clerestory versions will also come in one piece with snap out profile formers in case the position interferes with windows or compartment partitions. They should be fine in all scales, but the thickness of the smaller ones might need a little rubbing down at the ends. Eventually they will be supplied over length and without any fittings for those modellers who don't want to roll their own. 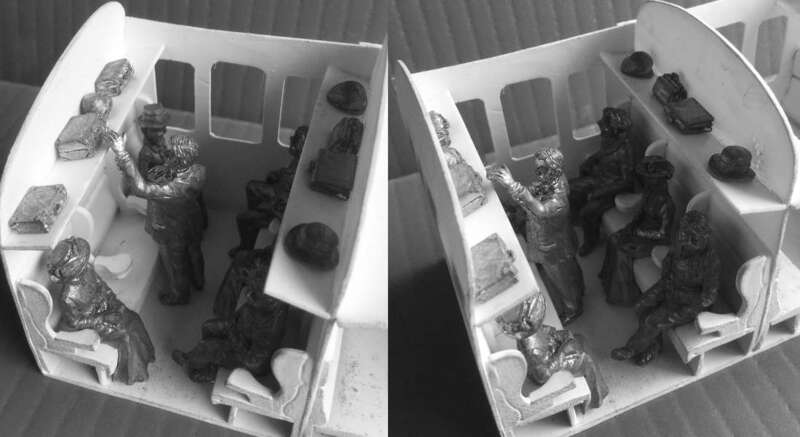 Nobuyuki Kikuta from Haraichi (just north of Tokyo) has obtained a few CPL late victorian figures for his scratchbuilt 7mm scale Orient Express model. These are now in stock, available in pairs, just requiring wheelsets and axleguard castings. 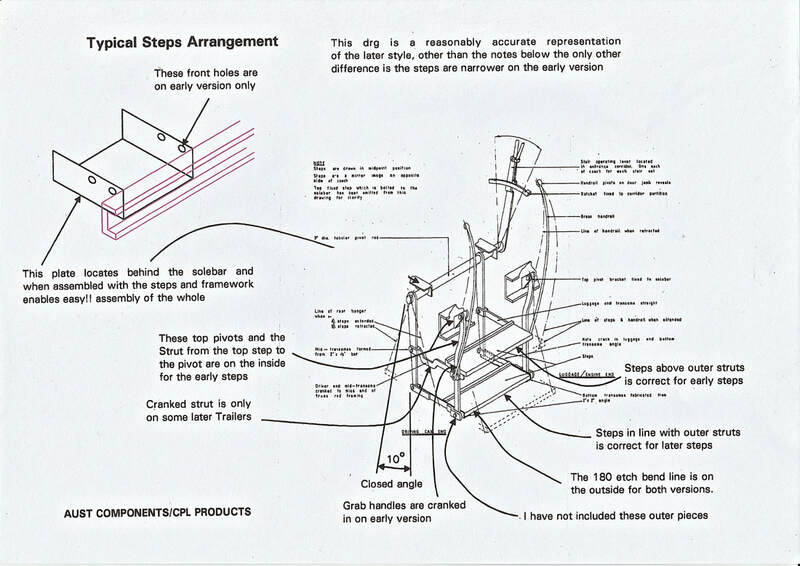 I have included the same large size assembly diagram in the new instruction leaflet page. Both types of step are in stock. This 7mm G.W.R Diagram W8 34ft clerestoried hounds van, is a six wheeled version of the smaller bodied 21ft four wheeled W5 of the early 1880s. It appears to be numbered 97, and has brakes on the outer wheelsets only (you will need a separate etch for this equipment) but the usual solebars, bufferbeams and half etch overlays as well as steps, panelled ducket, lamp irons, droplights and bolection mouldings are present. I have the transfers, interiors, cast brass handles, couplings and buffers, but you will need to find Trumpet ventilators for the dog compartment, brake cylinder, axleguards and early broad gauge type safety chains. I don't actually have any dogs to go with it, to be honest, but either way it would look good in a branch line train with some other clerestories, horseboxes and of course, a double framed locomotive. The 30s shirtbutton logo in yellow and the brown vehicle numbers are in stock. I now have etches in 4, and & 7mm for this 1937 Paco 'C' Diagram N16 Horsebox, and I have assembled a kit for the 7mm version. The etch is really comprehensive with compensated W irons and fully detailed brakes. The only items missing are the roof vents and lights, and the underframe tanks & cylinders. The etch in (pictured) 4mm is listed at £39.80, and the 7mm kit is complete with a separate detail ironwork strapping etch, both steam & vac pipes, screw couplings, sprung buffers and handrail for £94.00. The first thing is to apologise to the customers who have used the contact form to place orders over the last month. It is likely that you will have recieved no reply because of what appears to be a problem at this end. Please do re-contact me with your requests at; paul.bambrick@googlemail.com and I will deal with them ASAP. Alternatively, I will be attending the Bristol 'O' gauge event in a week or two, and will have all the stock as well as some 7mm stock carriage etches. 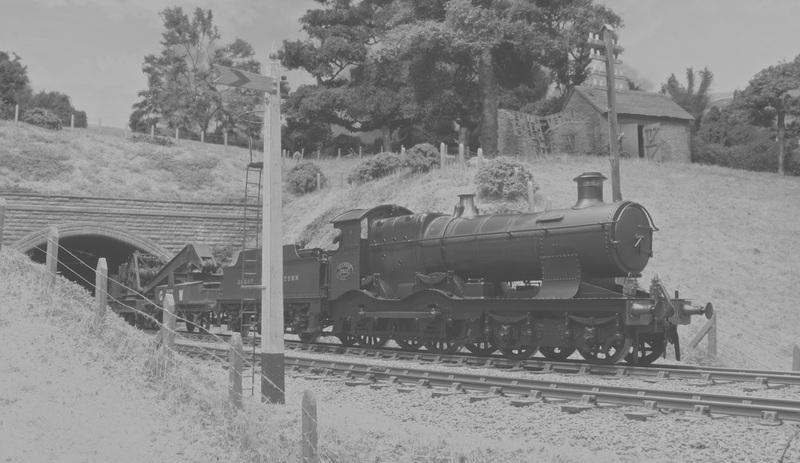 Illustrated below are an H36 Collett Bow end composite to the left, and a 57' D45 T/L Corridor Brake to the right. The corridor connections and full interior kits are available for this one, along with the usual buffers and couplings etc. This is a Finney 7 Bullied West Country Pacific, and it has the CPL 29 Southern Railway 3 link screw couplings which come as standard, supplied with the kit. I have a body kit etch for this A.E.C. diesel railcar in 4mm, including the roof, but I have sold the stock, so leave a few weeks if you would like one & I can do another run. The B.R. 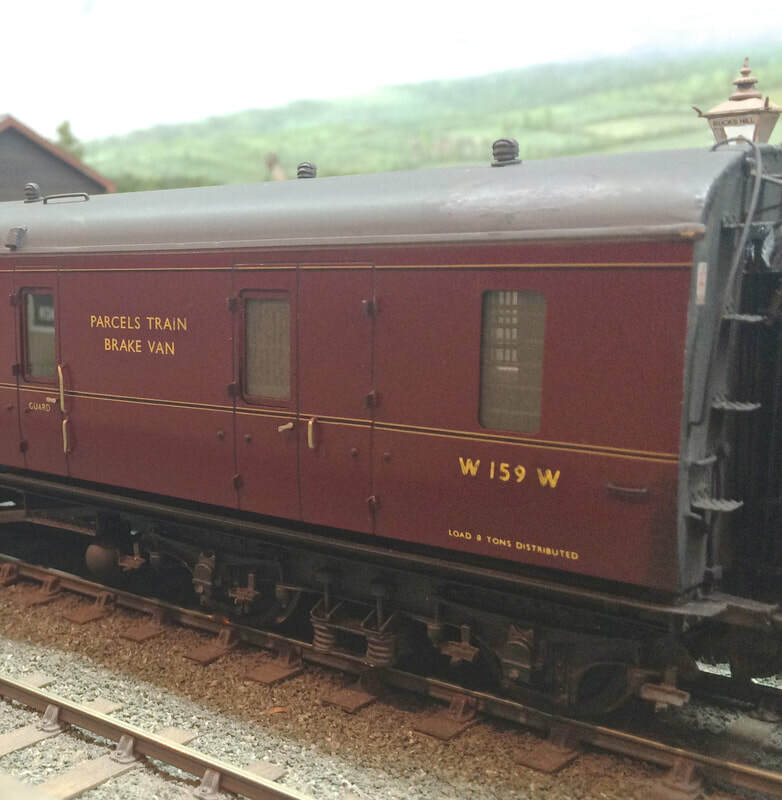 Standard 3-link couplings are in stock, and here's a set on a weathered Masterpiece Models Brittania pacific. Some 4mm stock etches have come to light in the bottom of a storage box, so I will put a few scans of them here. 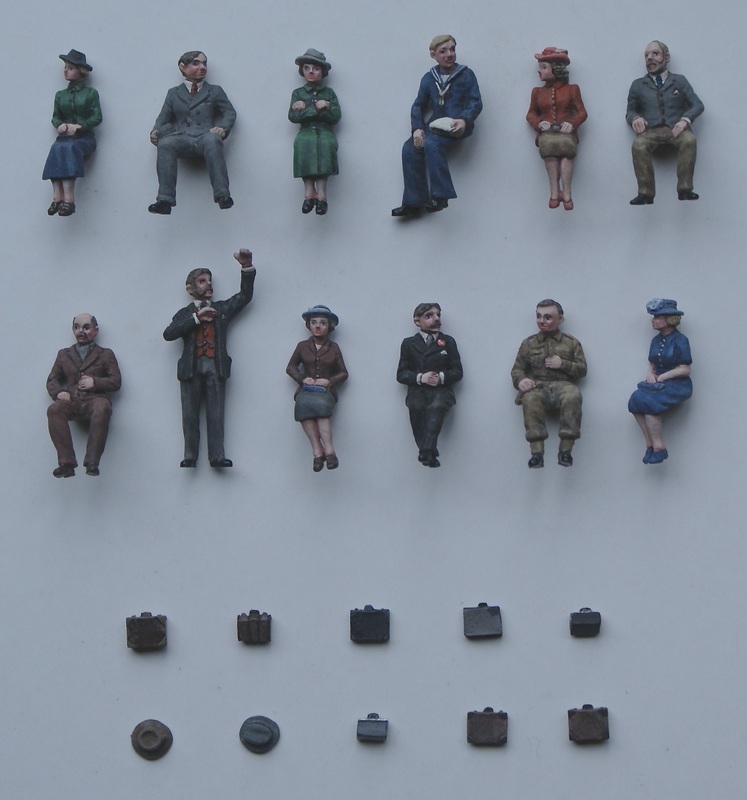 The new 1940s figures are now available, and alongside is a picture of the 12 characters with their hats and other belongings. I now have good stock of the GWR locomotive couplings, and these will eventually be included in the re-introduced Rover class locomotive kits from 'Finney 7' . I will be attending the Binfield 7mm exhibition with CPL. 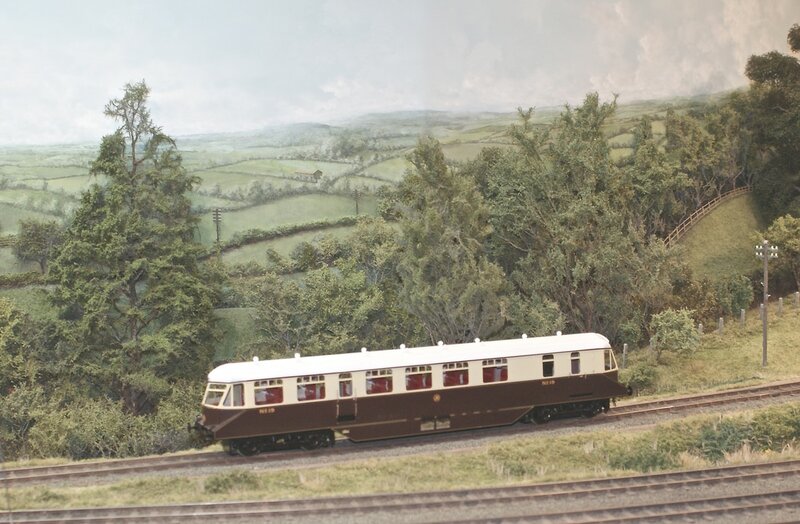 There are seven layouts including the first outing for Okehampton, as well as a good selection of trade outlets. For collectors of 4mm scale GWR Concertina stock, I do have a D43 Brake third in stock at the moment (Similar pic included). It's a very detailed, fine etch for a professional build. This experimental G.W.R. 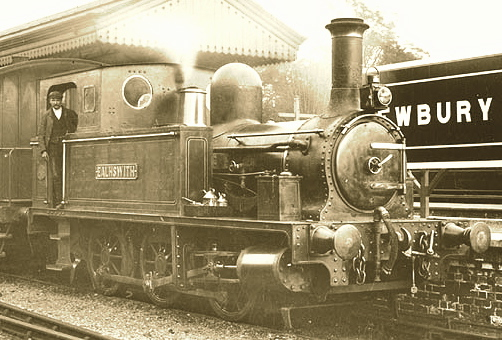 enclosed locomotive pictured on the right was one of four examples that appeared in 1906. 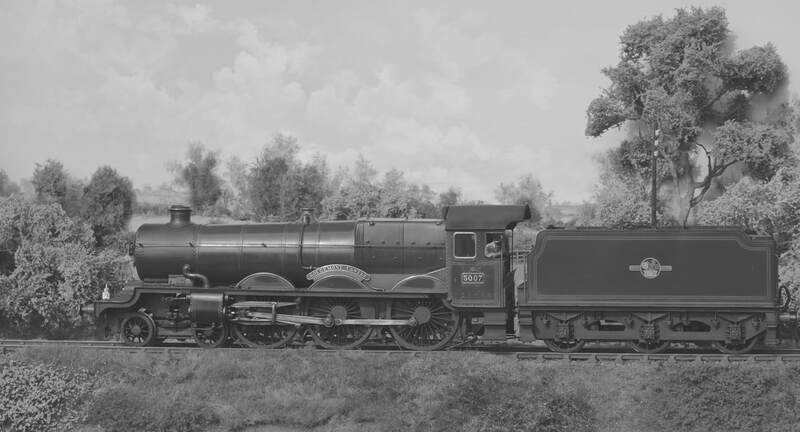 As well as 517 class 0-4-2Ts Nos 533 & 833, a pair of 2021 class 0-6-0Ts Nos 2120 (pictured) & 2140 were partially disguised by this carriage profiled outer casing. They turned out to be quite impractical, partly due to maintenance access issues and other difficulties like dirt soot and ash accumulation within the shell as well as excessive interior heat buildup making oiling round and other crew responsibilities uncomfortable. If you are after something a bit different for that Edwardian G.W.R. branch line terminus, I do have an etch to reproduce the shell in 7mm scale which has window beadings, footplate brackets and buffer beams but it does need a profiled roof with hatches for the water tank fillers. I have the transfers as well, but do bear in mind they had all been removed by 1911! £65.00 plus P&P includes Transfers and real glass for the windows. 4mm AEC Railcar single unit. I will be adding this to the 4mm scale etches list, and when all the other 4mm stuff is all photographed, I will separate the Etches page into different scales. Many steam hauled Pullman Coaches were equipped with the unequalised rivetted plate 10 ft wheelbase bogies, so if you are struggling to find them in 7mm, let me know. The fold up etch contains the bogie frame with crossmembers, bolster and brake gear as well as separate overlays for the curved lower channel. Even the axleboxes and individual spring leaves are included, so certainly not a beginner’s etch, but quite an impressive level of authenticity is achievable with enough time spent. Getting the trade stand displays sorted out for the looming Telford show. Here are a few pictures, with some reference to new and existing product lines, by all means stop by at the show stand, or inquire about details beforehand using the contact form. This is a range of figures with six brand new characters, and I have made a quick mockup of some different compartments to show them in situ, using interior parts from CPL stock. The one in the middle of the left picture uses the new 3D printed buttoned seats, done in green leather finish, while the others use printed material covers. I particularly like the gentleman reaching up to the luggage rack. A 3D file render of a G.W.R. dining table set. It has been reproduced from photographic records and can be tried out soon with a few additions like cutlery and additional metal items to finish it off. A nearly completed list of etch plates has been done, so they can soon go into a new page. A scan of each side is included along with the vehicle description, so you can check it more easily against your reference. When I can, I'll add some thumbnail prototype pics and other info, like build dates, running gear and other equipment. I will bring all the stock of cab and splasher plates along. They are a job to display due to their small sizes, so if you don't see your one out, just inquire and I'll have a look. ​Both the examples have CPL plates, and the Adams Radial also has the separate L.S.W.R. Brass cabside numbers. After Guildex I will come up with a list of all the plates and films, they do need cutting out and filing round, but some of them have a great patina that you don't get with new ones. as long as you dull down the cut edges, they come already weathered! I now have an etch to produce the suspended ironwork and pulleys for a G.W.R. Goods loading gauge. The parts fit either the rail built standard type or the tapered wooden 1929 gallows type post. The first look at CPL buttoned seating. The top cushion is separate, leaving the lower back and squab as a single accurate component for use longitudinally below the windows in saloon carriages. The top can be cut about and used as raw material for upholstering the compartment inner seat sides and door panels too. The spacing allows the use of the Slaters partitions and armrests either for two or three seats abreast. The picture shows a render of the 3D file, which is 7mm, but of course with 3D it is straightforward enough to adjust them up to either 10 or reduce to 4mm. Either way, just trim the ends for corridor vehicles and spray to match reference. For flat cushions there is a range of GWR material patterns available including the most recent Railmotor tram seat addition. They are all available in 7mm scale from stock, with 4mm to order. I will get a list published ASAP, with sample patterns a bit like this, but as far as possible with dates and class. Once we have sorted out the films, there will be a database of roof profiles for those who might prefer not to roll their own (as it were) They will be plain, over length and have thin accurately spaced formers included for a uniform cross section, but they will be also be easily removable in case of partition or corridor fouling issues. Clerestories will come as a kit of two with spacers for the lower profile. It looks as if CPL might be able to introduce a locomotive kit, but it is only a possibility at this stage. There is quite a lot of preparation work to make sure it gets done right. Here's a picture of a similar engine to the one I am looking at. 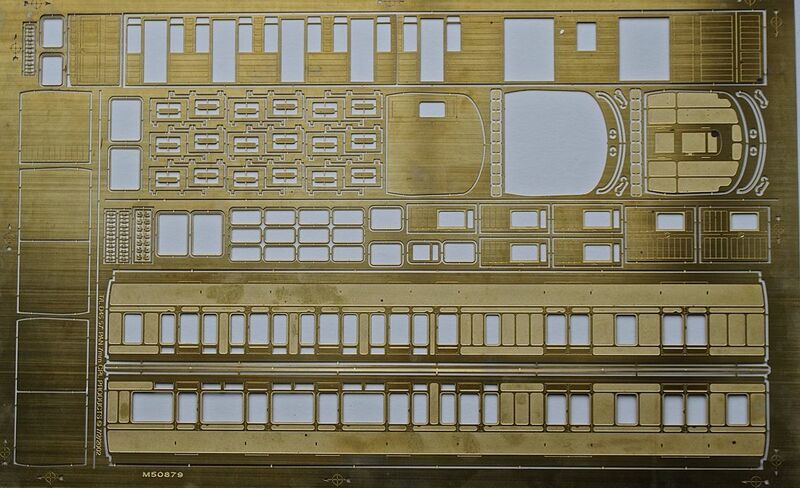 A new 7mm scale pattern has been produced to add to the large range of carriage seat upholstery. This pattern was used for GWR Railmotor tram type seating, so do let me know if you need any of this, just leave me a few days longer if you need 4mm. There is a huge collection of locomotive name and number plates, and even more art films all done to very high standards but I haven't got round to listing them yet. Call me if you need anything and I can take a look through the stock. Of course the tender and side tank transfers and cab plates are in stock as well so the same also applies to these. Another addition to the interior kits is in the pipeline now, with buttoned seat cushions developed from original patterns. These are some of the ongoing outlines and traces from the design project. 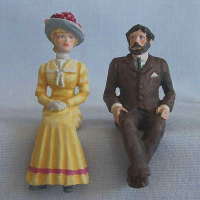 These brand new figures will be available soon, along with more seated passengers to come. This shows them in a first class mockup compartment jig, but there will be enough to do a couple more, including some different poses to fit on the bench seats of the third class. Luggage comes with them, and I think it might be a first to have the gent reaching up to the rack as you might when approaching or leaving a station. The heads are angled to allow natural placements like looking out of the window, or perhaps the other way, inclined towards one another in conversation. I always think it adds a natural behaviour pattern and an according realism. I hope you like them as much as I do. The first batch of G.W.R. carriage etches has arrived and they look fine, I must now draw up lists of the correct castings and components to accompany them to their respective builders. A new batch will be off soon (also to commission), so I still have the films to sort out for this. The big windows really show the interior of this composite dining saloon. I do have the carved first class mahogany seat ends done as etched overlays and their brass luggage racks above with very fine mesh grilles can be soldered on top for strength, but the tables still need to be laid with plates, cutlery, glasses , posh folded napkins and toast racks. Andy Stadden is doing some new quality seated figures for carriage interiors, (existing figures pictured for now) and I am working on dining table accessories for Lee's upcoming first class dining saloons. Silver bowls for teatime sugar lumps and salt and pepperpots for dinner! A set of buttoned seat cushions will hopefully be available soon as part of more comprehensive interior kits which will have mirrors for the first class compartments, both corridor types and full width options, glass windows, luggage racks transfers and leather window pull straps. New Sepia prints will accompany the older carriages, while coloured maps and back and white photos will go with the later 30s period kits. 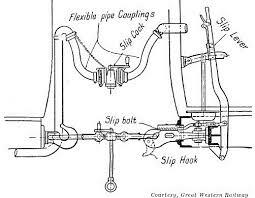 As well as Guildex, CPL will be at the Binfield show, so I will pop their details up soon, If time permits, I will also update the buffer kits with coil springs and 12BA nuts. obviously there will be a small price increase if this turns out to be a popular idea, but only by the cost of the additional parts. The van is now piled with boxes and portfolios from my collection trip to Pat, and I can unload it all over the next few days. This will allow me to start recording all the products, with a view to publishing the first few pages as soon as time permits. Some of the flat artworks for etched components are already present as digital files, and these can eventually be listed and presented as thumbnails to ease identification. A dedicated photo session at Kevin Wilson's collection will take place soon, and this will let us record many of the CPL products in situ, but if you have any of your own build photos, and you would like to support the effort, please do send them in as jpeg files to my e-mail address. I will of course credit the contributor in each case. Welcome to the first new pages of the CPL website, and thanks to Pat and Kevin for looking after me during this changeover. I will be doing my best to include all the information into headed pages as an ongoing project over the next few months. The existing product range will be listed with the same content and numbering, so if you do need anything from an old printed CPL catalogue that's fine. Just contact me, and I will make sure you get your parts sent out as normal while the transition takes place. Let me know if I can help, and once I have sorted out the existing list, we can progress towards the additions of other components. There is a possibility of doing rubber concertina corridor connections for example.